Morakinyo oladimeji Idris popularly known as Morak Armani is a final year student of Esperanza University Benin Republic. He First made his music debut when he featured on Playkid's 'Komole' which was a banger and received massive airplay some years ago. Moraks in depth knowledge of music helps him to create beautiful music with inspirational lyrics that can get both old and young singing and dancing to his music. 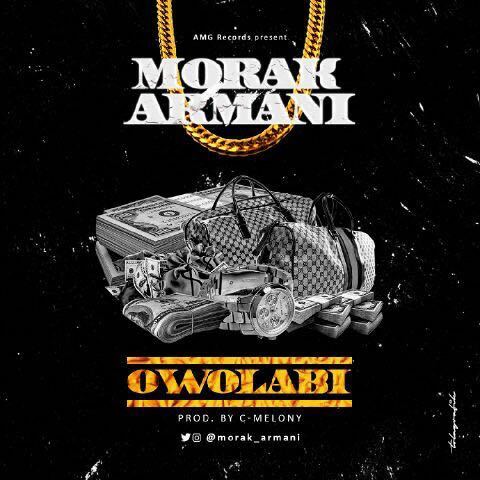 Here is Morak Armani's first official single titled 'OWOLABI'. OWOLABI is a catchy and inspirational mid tempo song, produced by C-Melony.